Your new Ui packs a complete digital mixing system into a compact, road-rugged stagebox format, with built-in Wi-Fi and the ability to be controlled by any connected device via a standard web browser - no Apps, no OS limitations, no constraints on how or where you mix. 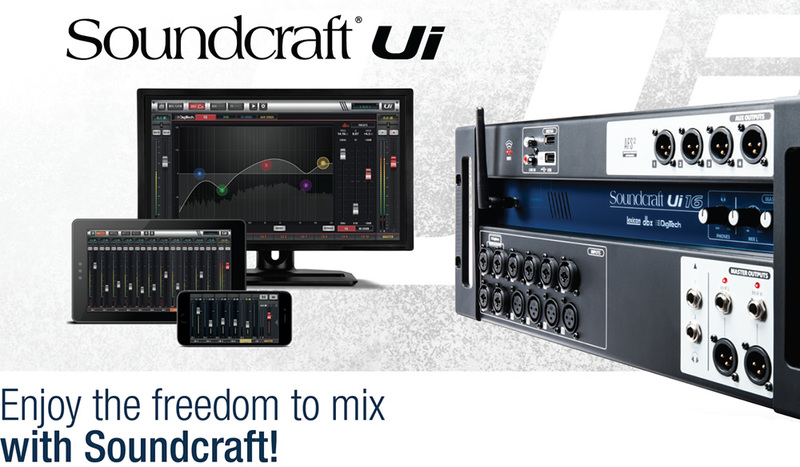 Thank you for purchasing one of our fantastic Soundcraft Ui mixers. To control your Ui mixer, you will need to connect it to a device of your choice either wirelessly using WiFi or via a network (ethernet) cable. You can control your Ui mixer using any device (tablet, phone, laptop or computer) that has an HTML5 web browser without the need to download an app. Under "Wireless and Networks" setting of your device, check to make sure "Wi-Fi" is turned on. Enable "Wi-Fi" if it is not on. In the Wi-Fi networks list, find the 'Soundcraft Ui' wireless network and connect to it. If you are prompted for a password, please type the default password 'scuiwlan'. Once the connection is successful, launch your device's HTML5 browser, such as Safari, Google Chrome or Mozilla Firefox. In the browser's address bar, type in the Ui mixer's server address: ui-mixer.io to connect to it. Once you have connected to the server and the web page has loaded, you should see the Device Selection Screen. 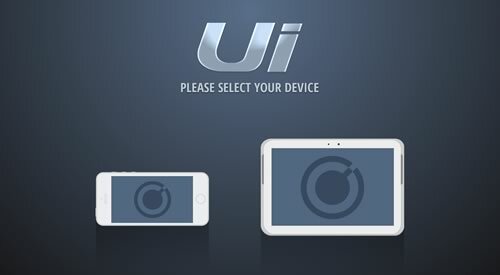 Please choose the version that is applicable to your device; small screen icon for mobile phone and large screen icon for tablets, laptops and computers. And now your mixer is ready, plug in your equipments and start mixing!! Get more out of your Ui mixer! Register your Ui mixer and get up-to-date access to the latest news, software, user guides and more, including the exclusive Ableton Live 9 Lite music production software, that lets you easily create, produce and perform music within one intuitive interface. If you have already registered and would like to access the files again, click here to validate your serial number. Sorry, this section is currently locked. Please register your product first. Once you've registered, this section will be available.